Arizona provides many incentive programs for the use of solar energies. Rebates are the most cost reducing of these programs. In Arizona rebates are not provided directly from the state, but through state measures provided by the utility companies. Arizona Public Service (APS) provides a rebate of up to 50% of the cost of installation (maximum being $75,000). SRP’s EarthWise Solar Energy Program provides a rebate up to $13,500 for residential projects and up to $450,000 for commercial projects. Sulphur Springs Valley ECwill pay for up to 50% of the cost and will rebate home builders $1,500 if a 2kW or larger system is installed on a new house. UniSource Energy Services and Tucson Electric Power will pay up to 60%. Trico Electric Cooperative will rebate up to 50% of the cost of installation. Arizona also provides state tax credits providing an additional source of cost reduction. The commercial sector can receive a tax credit of 10% of the cost of installation or up to $25,000 for one building and up to $50,000 for the year. In regards to residential properties an individual can receive up to a $1,000 in tax credit. These credits will reduce the taxable portion of your income and any excess credit will be carried over for up to 5 years. Arizona offers sales tax and property tax exemptions as well. The sales tax exemption is for the retail sale of solar energy devices and for the installation of solar energy devices by contractors. Contractors must be registered with the Arizona Department of Revenue to receive the tax exemption. The property tax exemption is for residential, commercial or industrial sectors, which have on site solar energy production. 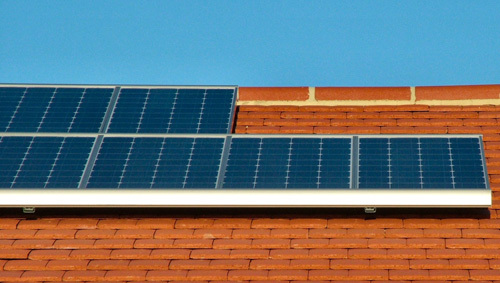 Though there are federal loan programs for converting to solar, Arizona utilities offer their own loan programs as well. Arizona Public Service (APS) customers may receive a loan of up to $50,000 with interest rates as low as 7.99% for a solar-energy system. Sulphur Springs Valley Electric Cooperative (SSVEC) will provide smaller scale loans, but it can be combined with their rebate program too.